The one thing that comes to most people’s minds when a tree comes in their way is an axe. They don’t think twice about cutting down beautiful trees that might even be a 100-years old. 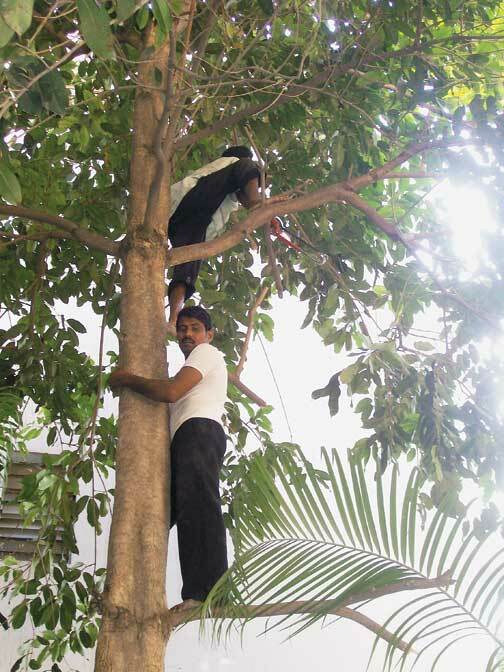 However, there is one person who does things differently – businessman/artist/environmentalist – Vijayaram, who has started the Society for Awareness & Vision on Environment in Hyderabad. 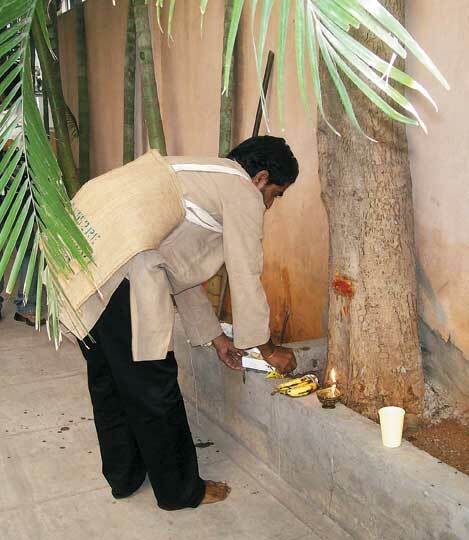 Apart from anti-plastic campaigns, distribution of clay Ganeshas, water harvesting, and tree planting, SAVE now offers the service of tree translocation. Contacts: Phone:040-2764 0006 / Email: letssave@gmail.com / http://www.the-savefoundation.org. 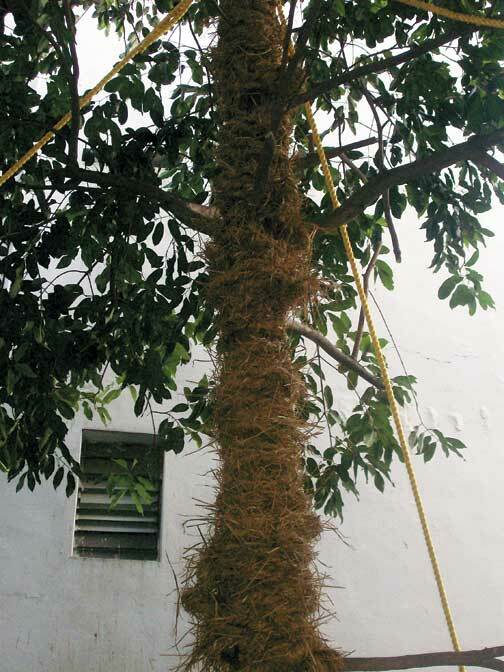 A growth hormone is applied to the secondary roots; the base of the tree is filled with soil and a bag is tied around it. 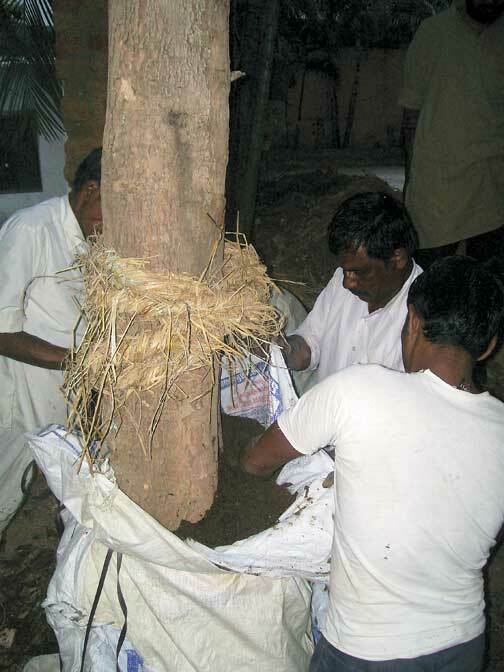 This is then left for three months, during which time the roots and the straw-covered trunk are watered every day. Proper watering is extremely important. 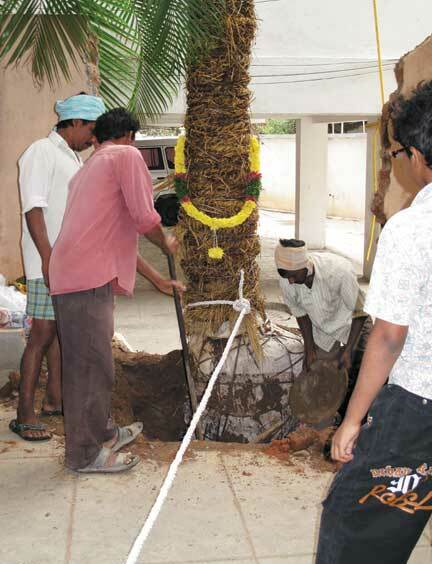 The tree is shifted three months later, after another ceremonial prayer to the tree. 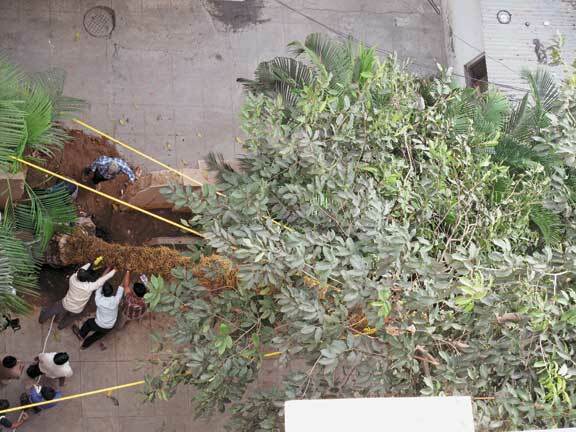 Note that the earth has been freshly dug to uncover the bag. 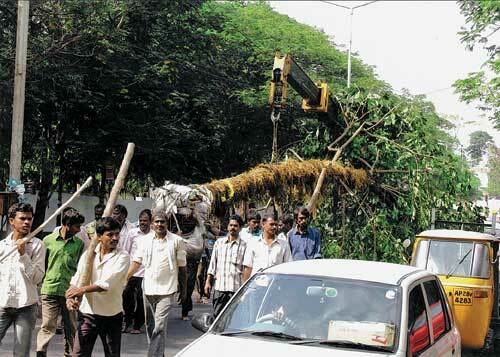 A lot of manpower is needed during the shifting, especially if the tree is in the compound of a building. 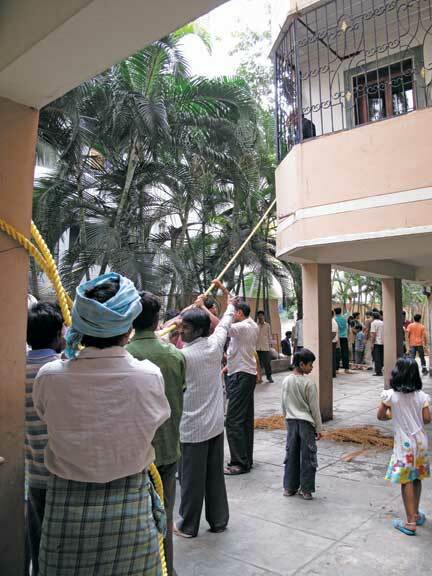 Utmost care is needed so the tree does not fall on any structure and no one gets hurt. …a crane picks it up and takes it to the place where it will be re- planted with the hope that it will thrive in its new environment. 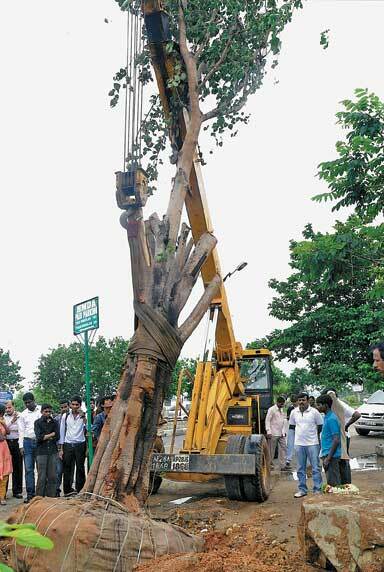 Sometimes it does, sometimes it doesn’t… a lot depends on the care given after the tree is re-planted.